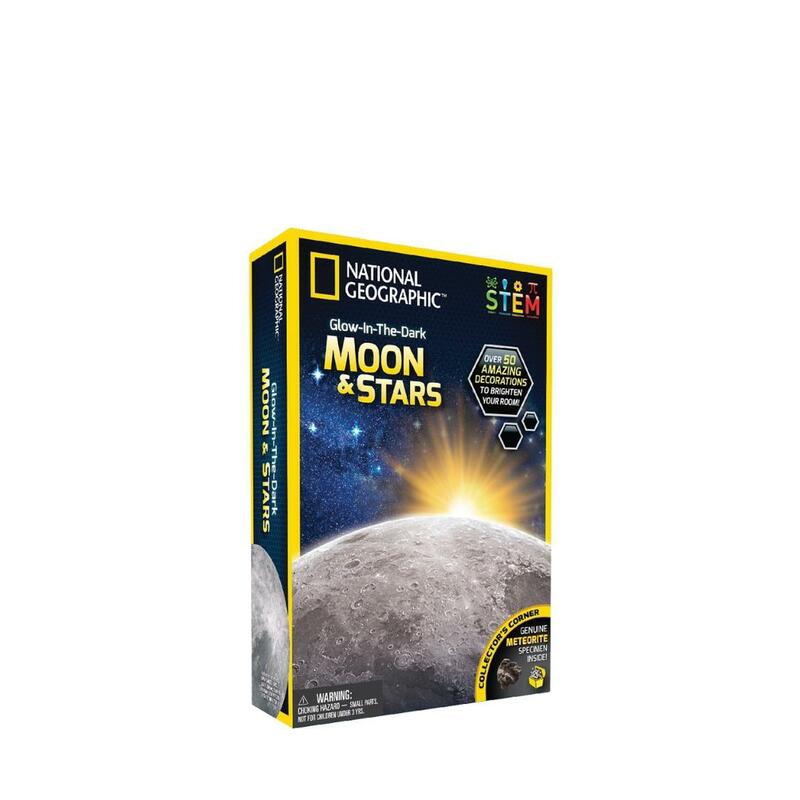 With National Geographic's Glow-in-the-Dark Moon and Stars children get to create their own galaxy and explore space! These wall and ceiling decals adhere easily and safely to any surface, allowing anyone to create their own galaxy in minutes. Kids will love adding the real meteorite specimen to their collection and learning about the cosmos with National Geographic's learning guide. The full colour learning guide is filled with amazing pictures and facts about space.